I love what Susan Wolfe, an elementary school teacher in Boise, Idaho does in her classroom. She starts by creating classroom culture and helps the students brainstorm what makes a great student, a great teacher and a great learning environment. This shows the teacher what the kids expect of her and shows the students what they expect of themselves. They are going to be more likely to rules they made up together and feel ownership over. “The kids need to believe that they’re not here to have learning crammed down their throats,” she said. She says it is fundamental for teachers to take the time to build a class culture for which students take ownership. And contrary to many stereotypes about disadvantaged kids, in her experience, every child, no matter their background, wants that learning autonomy. Self discipline is a skill I never fully learned and I would have likely benefited greatly from this strategy. The next piece that I love is how she intrinsically motivates her students. She uses what she calls a Genius Hour to allow students to learn about whatever excites them. This gives students power over some of their learning and might be one reason they look forward to school. These projects can also work out to be community service projects as well, which is a category of learning that is very effective and powerful. For example, a group of students wanted to be outside more, so they are working to build an outdoor classroom. They teamed up with a group of parents who were interested in the same concept, connected with the Bureau of Land Management and eventually designed and began clearing the way for a native plant garden. They’re working with the community, learning to fundraise, using Excel spreadsheets and building websites. But there’s no grumbling because students are invested in the end goal of the project. “A lot of teachers spend a lot of time trying to motivate kids, but if they can tie it into students’ passions, you can tap into a lot of energy,” Wolfe said. “I had a student that I could just not connect with,” Wolfe said. “I could not get this kid to do anything.” But she knew he loved skateboarding, so she suggested he research and become the expert on Tony Hawk and skateboarding. The principal even agreed to let him do a skateboarding demonstration at the end of the project. The student made a total switch. He was staying in at recess to work on his report, asking for help and doing a great job on his work. Recently Wolfe bumped into him around town and he still remembered that project. He’s in college now, getting straight “A”s. Giving students the autonomy to direct their own learning teaches them process to do the rest of their school work later. By researching about a Skateboarder, he gained and developed research, writing, reading and analytical skills and had a positive experience in school. All of these skills translate into continuing to do well. I absolutely love reading about new and different classroom strategies. Here I read an article about flipping classrooms: His Students Were Struggling, So He Changed 1 Big Thing. Then Everything Changed. The principal had the idea from his time as a coach to offer the classroom lectures to students outside of class, as homework, so that the written work and discussion and projects could occur during class time with the help of the teacher. How many times do students have trouble completing written homework, and then not receive help in class because the teacher has moved on to the next lesson? How often do students have trouble taking notes AND absorbing the information during a class lecture? I know that I am a writer and I usually need to write things down to understand them. Writing takes time and the comprehension comes second. I am usually feverishly writing notes before they are erased or the teacher moves on, but can’t listen to the words for comprehension at the same time. 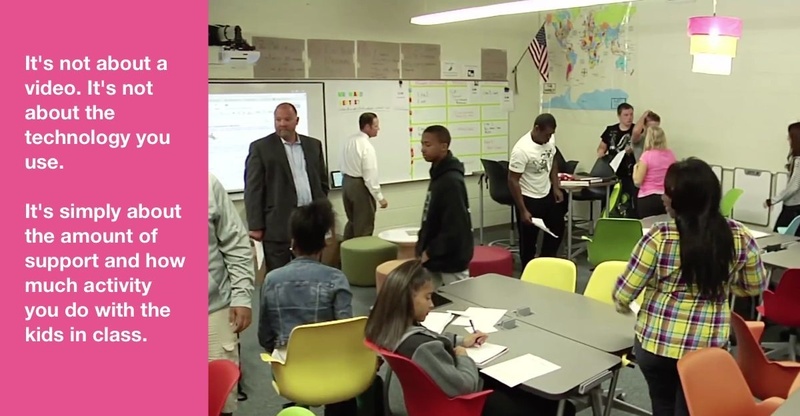 This principal tried “flipping” one classroom to see if it would be successful. The teacher recorded short video clips of the lesson approximately 10 mins and the students would watch them as homework instead of written work. This also allow the student to re-watch, pause, take notes and really get a sense of the material. When students went to class they already had a basic understanding of the lesson and could work on written work in class with the help of the teacher. Class discussion and projects are more productive because the material has already been covered and you can just engage with each other – which is the whole point of school. I know when I had reading homework, I rarely ever completed it. Class discussion never really required that I had read the material, I always managed to make it work. If I had been asked to watch a video instead of reading, I probably would have covered more material. Also, its easier to watch a short video when you are tired and virtually impossible to read when you are tired, which is probably a good amount of my high school and college career. They started with one teacher teaching a flipped class to struggling kids and the same teacher teaching the same material in a traditional way to average students. The idea was to see if the students having problems would be helped at all by the switch. The at-risk kids actually outperformed the other class! 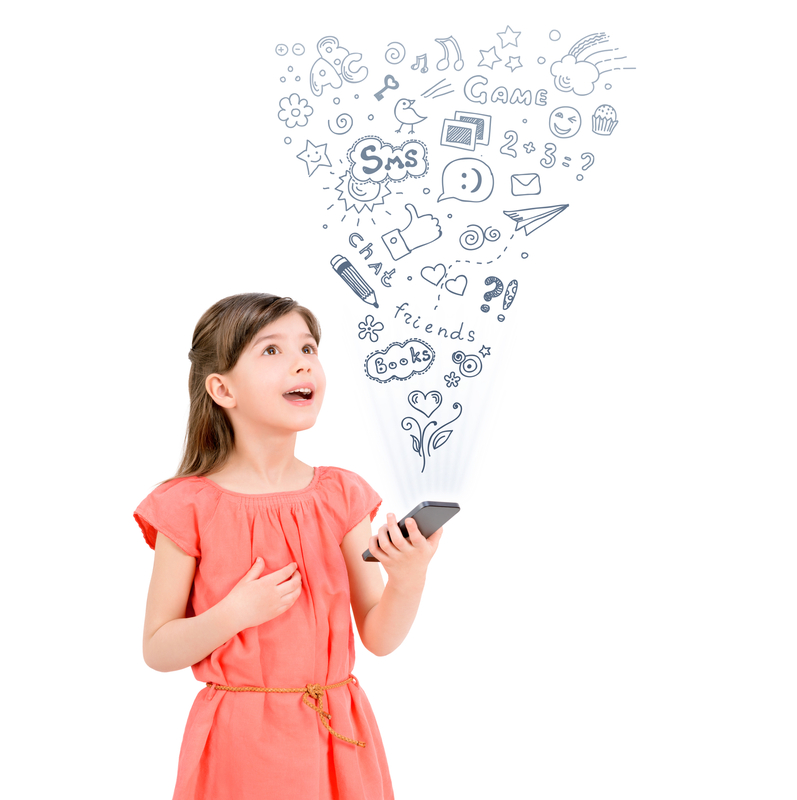 It’s not really about the technology, its more about more engagement in class with the teacher and students. Granted there could be some barriers in terms of student access to technology to access the videos and teachers have to commit the recording all the videos. But a successful strategy is always a good one! The rest can be worked out. I’ve written previously about how the harm anti-reformers are claiming tests bring to students is more of the grit and character they need. I’ve written about how parents seem to make decisions about testing with little or no regard for that what reality means for the student when they go to school on test day and how prepared they will be for future tests. A U.S. News article really brings it home for us with a very specific story. It’s titled: Opting out isn’t an option in the real world. The writer talks about how she avoided tests too, actually avoided school all together and dropped out. She talks about how life is one big test and that there are endless tests after you leave high school. But she couldn’t run away from those tests. Then I was studying alone for the GED, then the SAT, then the community college placement test on breaks at the coffee shop where I worked. Plowing through a year at a commuter school, where too many went and too few stayed, and fighting my way to university. And then working the next 15 years for a civil rights organization fighting to secure equal educational opportunities for all students. It took all that for me to finally understand that you actually can’t opt out, walk out or otherwise check out of tests as a permanent strategy. Not if you want to get anywhere. Because, regardless of your feelings about them, tests will never stop. On the way to wherever you want to go lie a series of tests – whatever your direction, whatever your goal. There are the college admissions tests. The Armed Services qualifying tests. The get-a-job tests. The get-a-better job tests. The licensure tests. The promotional tests. Moments where you have to prove yourself – your skills, your knowledge, your merit, your determination. She brings out a true reality that the real world hits you with. In high school and college if you go, there are known structures and expectations. Once you are out, you’re on your own. And you are going to hope you have the skills to make it on your own. While they now call the tests you take in school “high stakes,” they are the lowest you will ever encounter. And the only ones where, if you don’t do so well, somebody actually has an obligation to help you do better. Because after you leave the comfortable – or even not-so-comfortable – nest of high school, it is all on you. You alone will be held accountable for what you know and what you don’t. What you were taught and what you weren’t. Because you can’t walk out of the ACT or the SAT. Not the GRE, LSAT or the bar exam. Not the cosmetology exam, the Test of Adult Basic Education or any professional exam. She makes the point the sometimes the best thing to do is make change from within. While the tests aren’t perfect, they are better. And that some teachers may be more preoccupied with their jobs than student success on tests. I’m glad she said it, because it would be hard for me say it! What I learned in my own journey through education, and later as an advocate, is that sometimes the most radical thing you can do to change the system is not to secede, but to succeed. That sometimes fighting the system means working from inside it, pressing for the things you and your peers need. To raise hands, raise issues and raise stakes by participating, instead of by withdrawing. To call for attention – and for change – so that all students get the skills and knowledge they need to thrive. Not just some. And one of the best chances we have to do that right now – as tedious or regimented as they may feel right now – is through these new tests, which finally measure what matters instead of just how many bubbles you can fill in. Don’t play into anyone’s hand. Or fall for the things you’re told about those tests by adults who may actually be more preoccupied with their job security than your education. Don’t opt out of testing & life – opt in. Opponents think that the referendum wording doesn’t describe enough of what the bill does. I suppose that Rep Hughley is correct, however, I suspect it will pass. 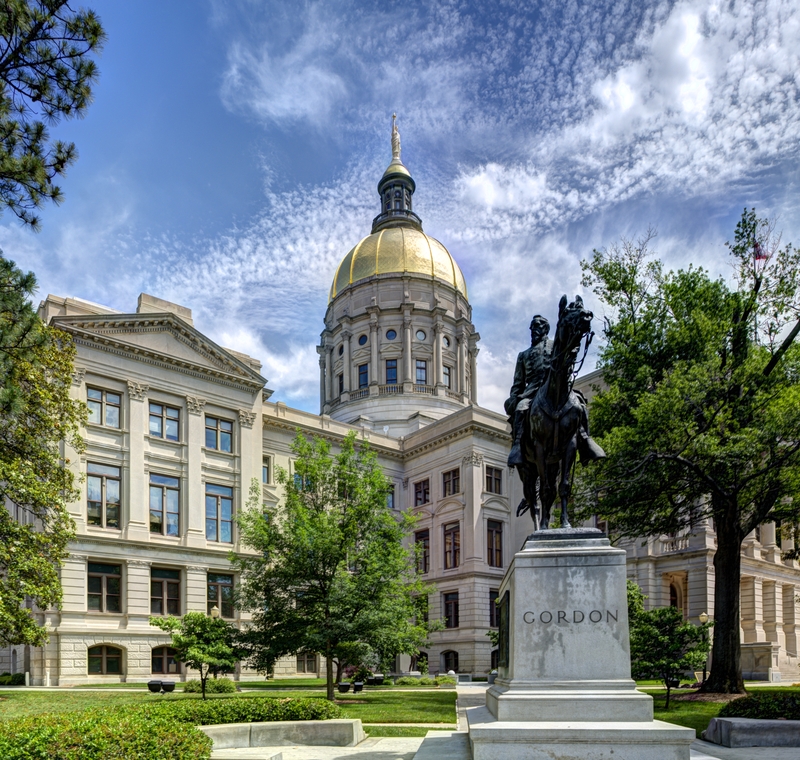 GA’s Opportunity School District would allow the Governor to appoint a special school superintendent, confirmed by the GA Senate and reporting to the Governor to oversee the 100 schools chosen for the intervention. It appears that the OSD superintendent would have sweeping authorization to hire & fire staff, change curriculum & policy, turn over schools to other districts, charter operators and worst case, close the school. The Governors plan can be found here and describes the criteria by which a school is eligible for the OSD. After GA received a waiver from NCLB, it created the College and Career Readiness Performance Index (CCRPI) which evaluates a school’s ability to prepare its students for college and career. High Schools are evaluated on content mastery through the GA Milestone tests, post high school readiness tasks such as completing career pathways, and graduation rates. Middle Schools are evaluated on content mastery (GA Milestone test), high school readiness tasks such as completing career inventories, graduation plans and attendance, and graduation predictors. Elementary school evaluation mirrors the middle school criteria, adjusted for elementary school. 129 schools received a CCRPI score below 60 three years in a row, with a great number in the metro Atlanta area, and largely in City of Atlanta Public Schools. Although I was lobbied heavily on the issue, I never took a firm stance. And I didn’t have to get, I wasn’t voting on it. But everytime I read someone on my FB feed talk about how they were against the OSD, I would ask them to consider the alternative. Can we teach all electives and no “subjects”? How archaic is it to teach “English” “Social Studies” “Math” and “Science”? The new common core standards allow for much collaboration between skills and topics. Teachers are already working together on teams to collaborate their lessons. Not only does it make sense to teach “electives” instead of “core subjects” it will be more engaging, interesting and fun for students!!!! Why is Model UN or Model Legislature only an after school activity? Can’t that incorporate history, writing, public speaking, group work….etc. In college I had a class called Model UN and we used law texts and literally created a UN in our classroom week after week. Why wouldn’t that make sense as a K-12 class? Why not an astronomy class? Or Gardening class? Or any other number of science explorations that would be fun, instead of dull science class trying to teach you everything in 4 classes. You can learn math and science topics and writing and possibly some history all in one fun “elective” style class. The best part is, you can even intermingle grade levels. If one room school houses can teach all grade levels, then you can have different levels in your elective style class and have the older students do harder work and younger ones the easier work and they can even teach each other. I learned so much more in my elective history classes where instead of reading the text book, we read biographical novels. Psychology class, current events – were all more interesting. We need to start incorporating business education into classes – so let’s do math and history and writing in that too. I’ll bet you teachers would be more excited about teaching these electives all day and not teaching to a text book. The reforms reflect growing calls in the UK – not least from the Confederation of British Industry and Labour’s Shadow Education Secretary Tristram Hunt – for education to promote character, resilience and communication skills, rather than just pushing children through “exam factories”. We should be focused on teaching and developing skills, not drilling subject matter. Teachers were naturally a but resistant because all they know is what they have done all their lives. Ms Kyllonen has been advocating a “co-teaching” approach to lesson planning, with input from more than one subject specialist. Teachers who embrace this new system can receive a small top-up in salary. About 70 per cent of the city’s high school teachers have now been trained in adopting the new approach, according to Mr Silander. What’s going on in York, PA? … That frustration has been no more acute than in nearby York City, which has drawn national attention over opposition to the state’s proposal to privatize the entirety of the York City School District – a first for Pennsylvania and an experiment rarely tried elsewhere in the nation. As York students, teachers, and local officials continue to protest the proposal, which they fear will lead to education being shortchanged for profit, renewed scrutiny is falling upon the law change that make that proposal a reality: Act 141 of 2012. Eugene DePasquale, Pennsylvania’s auditor general and a former Democratic lawmaker for York, remains opposed to Act 141, which modified the state’s power to take control of school districts. In 2012, with many other Democrats, he voted against its passage. But, despite the controversy surrounding it, the law also has its supporters. New research from the Commonwealth Foundation reveals that for years York City students have suffered in some of Pennsylvania’s worst-achieving public schools—second to last in the state to be exact. That’s despite a steady rise in funding amounting to a 33 percent increase over ten years. The families of more than 2,300 students in York—and more than 120,000 students statewide—have already made the choice to attend charter schools to escape chronically failing district schools. Given the track record of York City School District, despite boosts in funding and attempts at reform, it’s no wonder York parents and students are seeking a better solution than loading more money onto a sinking ship. While charter conversion is not a guarantee of immediate success, York charters do outperform district schools. York, PA Schools and that state are in a legal battle to decide whether the state takes receivership and hands over the control to the current Chief Recovery Officer. The district would go to an all charter district. The York school Board doesn’t want to see that happen. But what have they to say about the poor quality of education in York? Orr and a majority of her fellow board members told the state’s chief recovery officer, David Meckley, that they needed more information before they could consider approving his proposal to privatize the district. Dissatisfied with the board’s lack of action, the state initiated court proceedings to give control of the district to Meckley. The district has appealed that decision, which has left the school board in control for now and the privatization plan in limbo. State legislators want to see progress are and are going to use all the tools they have to make that happen for York, PA.
State Sen. Mike Folmer, R-Lebanon, said he acknowledges that the state-funding system for education is outdated, but he also dismissed the argument that the district’s poor test scores were largely the result of underfunding. Folmer said Pennsylvania was one of the highest spenders on education, per student, in the nation. He believes that one of the major drivers of that cost is the teacher’s union, which he said has driven up the expense of schools at the cost of students. Folmer said privatization offered a change in direction that could turn around the school district, even if that meant the district might need to temporarily cede democratic control so it can be done. State Rep. Duane Milne, a Chester County Republican and the prime sponsor of Act 141, also remains supportive of the law and the privatization proposal in general. Education is supposed to be about the student. What is education about in York, PA? Is it student centered? Or adult centered? Alabama Educators Association helping or hurting students? In reading about Alabama’s move towards public charter schools, I’ve come across the same paradigm I see in many other places. Graduation rate for black boys in Alabama is at 54%!?! And Democrats, of all people are opposing strategies that could help these students? So far, he said, a handful of black Democrats expressed tentative willingness to support a charter bill, compared to dozens of GOP lawmakers who are fully on board. Mr. Kirkwood said the pro-charter coalition has been in overdrive to convince state residents that charter schools could help improve the grim graduation rates for African-American students, and help empower parents to make schooling choices for their children. They’ve been lobbying legislators, holding town hall meetings, and taking parents and community leaders to visit charters in Georgia and Tennessee. The group is hoping to outflank the organizing prowess of the statewide teachers’ union, which has helped block previous efforts to pass charter legislation. Ahh, so “Democrats” strictly speaking aren’t the opposition, its the teachers union. Of course, what else would I expect? But what you have to understand is that education for kids in Alabama doesn’t appear to be good, or doing any better? How can the teachers union in AL stand back and fight reform that can actually help students? This is what I mean when I say unions stand for the status quo. What have the unions been doing to improve education in AL? Because whatever it is, it hasn’t been enough. Standing in the way of reform that can help, is supporting the status quo. And the union doesn’t even have collective bargaining power! Yet they spend their time and money to unseat Republicans (by the way how is that going?) who are chipping away at the school budget. Well, it is hard to advocate for more education funding when you have such sub par results from your students. We’re not against more money, we just need to see results worthy of spending the money needed. I don’t know why this is such a hard concept for unions to understand.